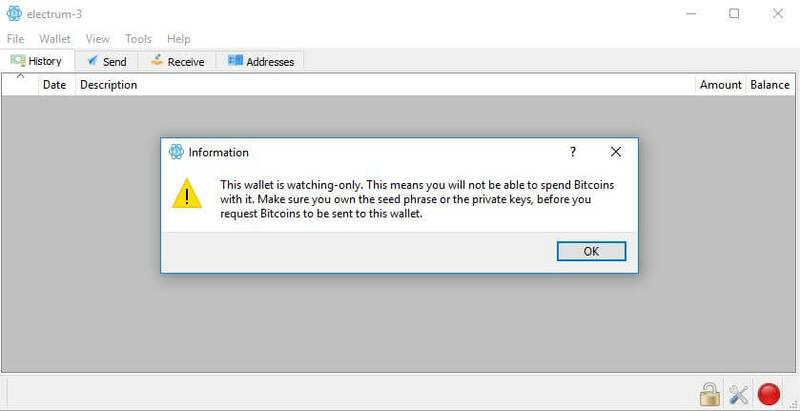 We have previously discussed what a Bitcoin watch-only wallet is, why you should get one and the risks involved in setting one up. Today, we would discuss how Windows users can create their own Bitcoin watch-only wallets. 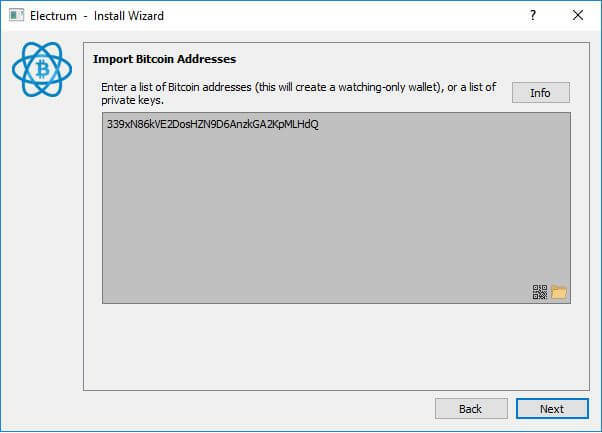 A procedure for setting up Bitcoin watch-only wallets for iPhone users and for Android users is also available. Note: Ledger currently has an issue where the Extended Public Keys do not work properly. In other words, even though Ledger addresses begin with 3, the XPUB is shown instead of the YPUB. This is a known issue which Ledger is currently fixing. 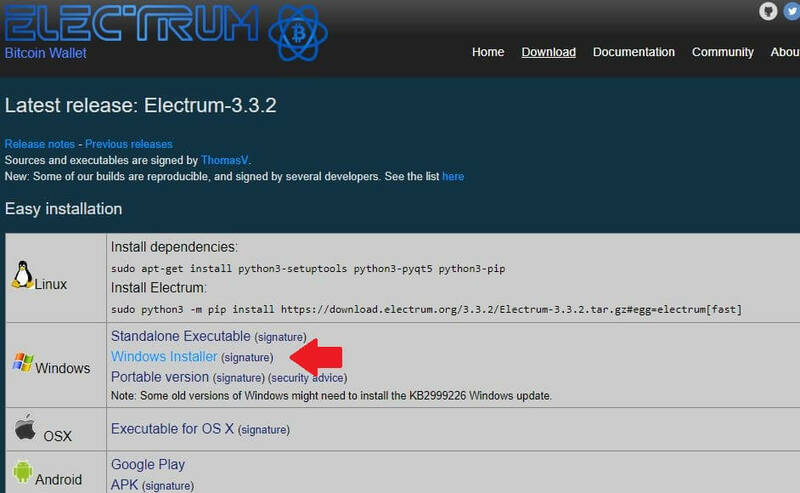 The workaround is to extract YPUB using Electrum as shown here. 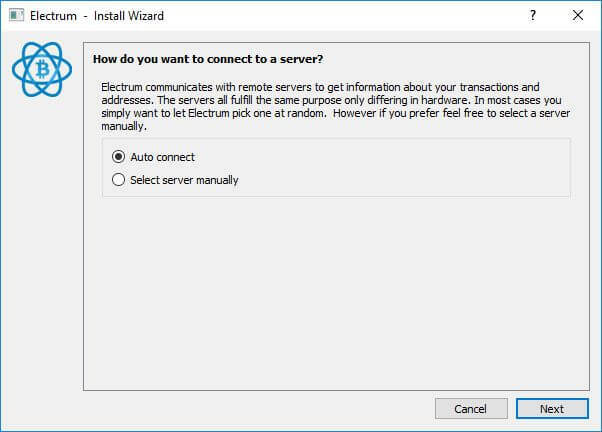 Step 3: Download Electrum. After that, install and run it. Step 4: Select Auto connect. Step 5: Give your wallet a name. Step 6: Select Standard wallet. Step 7: Select Use a master key. While you can create a watch-only wallet with the Use a hardware device option, it requires you to connect your hardware device each time (assuming you want encryption of your wallet file as in Step 9 below) and is thus less convenient. Step 8: Enter the Extended Public Key which you extracted in Step 2. Step 9: Enter a password to encrypt your wallet file. Step 10: Your Bitcoin watch-only wallet is created. Step 11: Go to the Addresses section and view the list of addresses. If the Addresses section is not showing, go to View > Show Addresses. 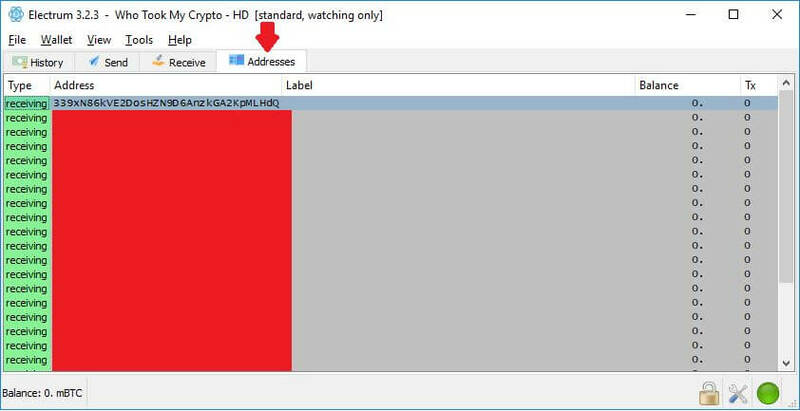 Step 12: Verify that the first address shown in Step 11 is the same as the address shown in Ledger or Trezor. 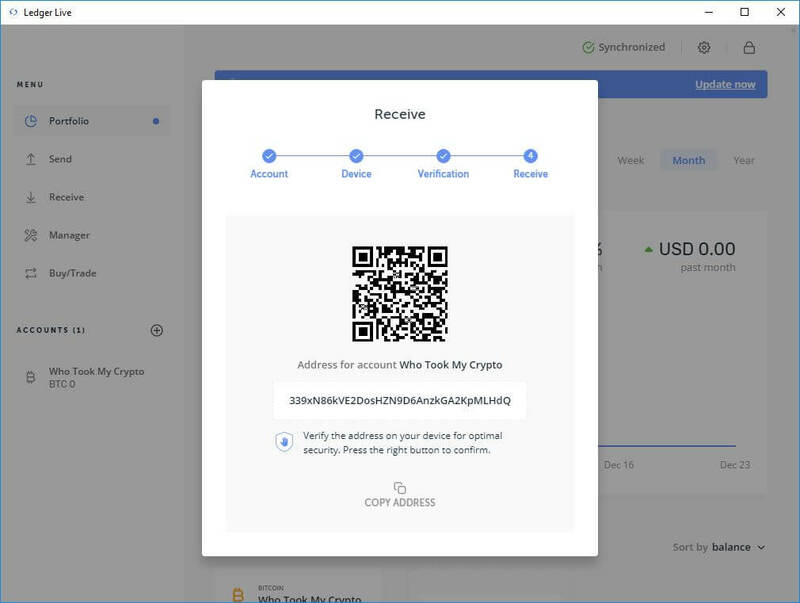 As an example, we have shown a screenshot below of our address in Ledger Live. This address matches that shown in Step 11. 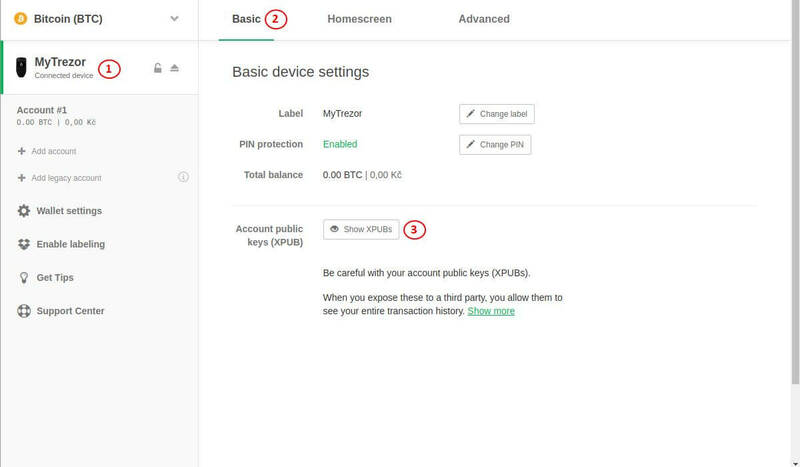 This step assumes you have not carried out any transactions in Ledger or Trezor. If you have done so, this verification can still be performed. However, the current address shown in Ledger or Trezor would not be the first address listed in the Address section of Electrum. Step 13: Check that the balance in your watch-only wallet agrees to your Ledger or Trezor balance. If you have yet to transfer funds to your wallets, you can send some funds to them and check that your watch-only wallet updates for them. Step 14: Give yourself a pat on the back! 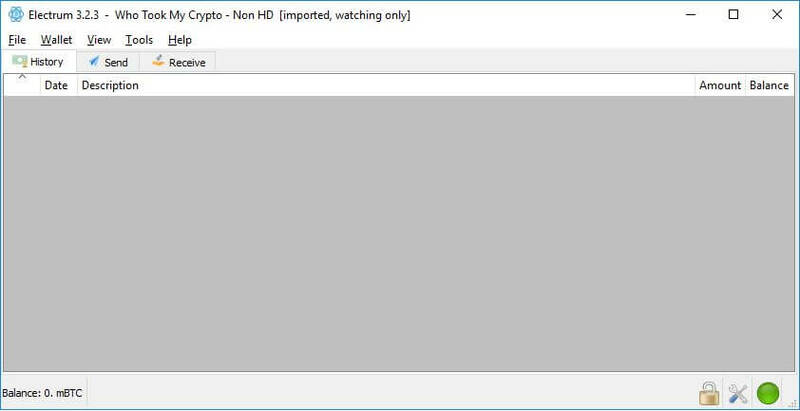 Your Bitcoin watch-only wallet for Windows has been successfully created. Step 1: Extract the addresses you wish to import. 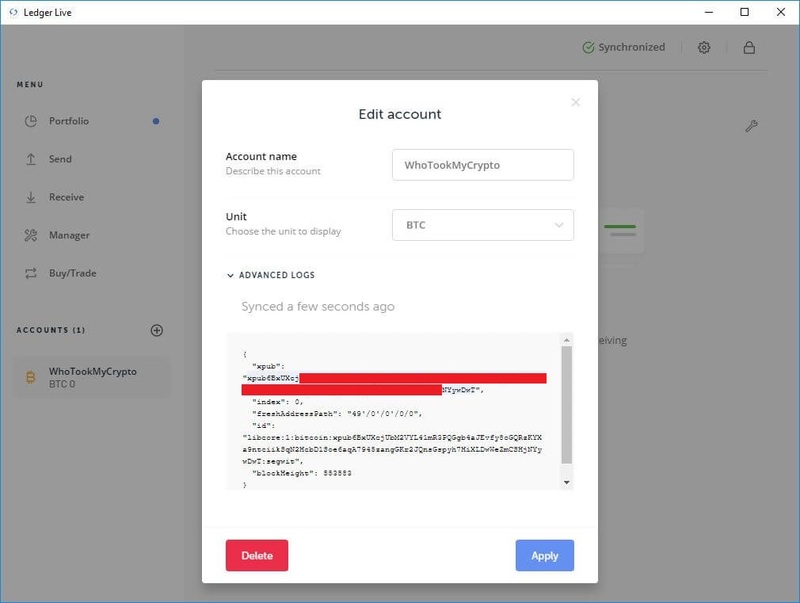 For simplicity, we would import the address shown in our Ledger Live screenshot below. 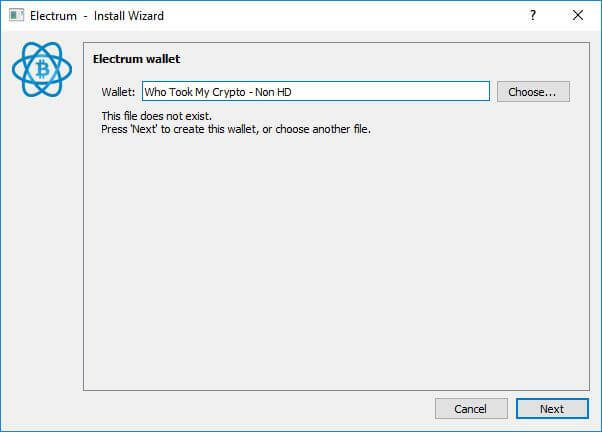 Step 2: Download Electrum. After that, install and run it. Step 3: Select Auto connect. Step 4: Give your wallet a name. 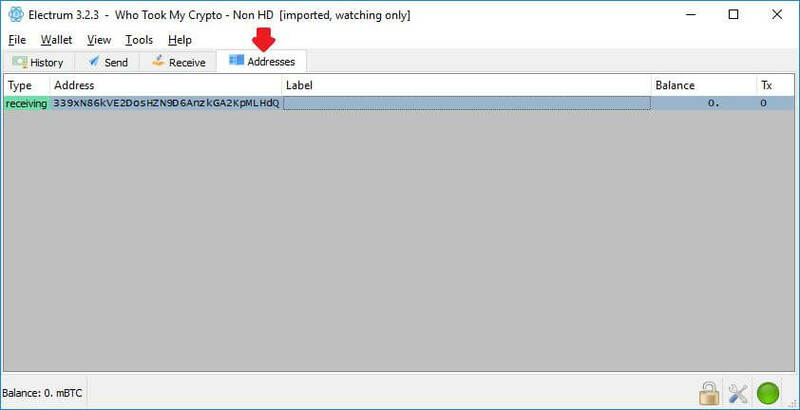 Step 5: Select the last option Import Bitcoin addresses or private keys. Step 6: Enter your addresses. 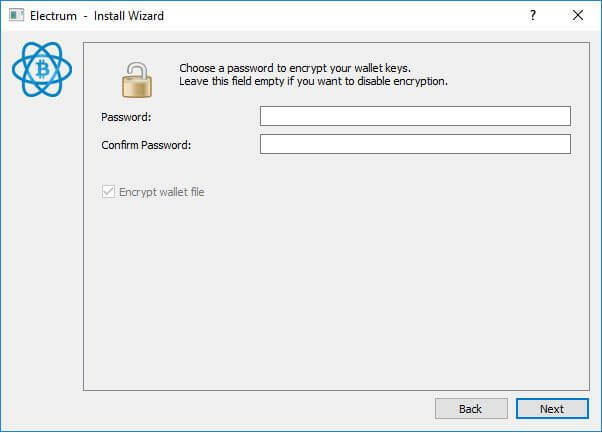 Step 7: Enter a password to encrypt your wallet file. Step 8: Your wallet has been successfully created. Step 9: Go to the Addresses section to ensure they show the addresses you entered in Step 6. If the Addresses section is not showing, go to View > Show Addresses. Step 10: Check that the balance in your watch-only wallet is correct. 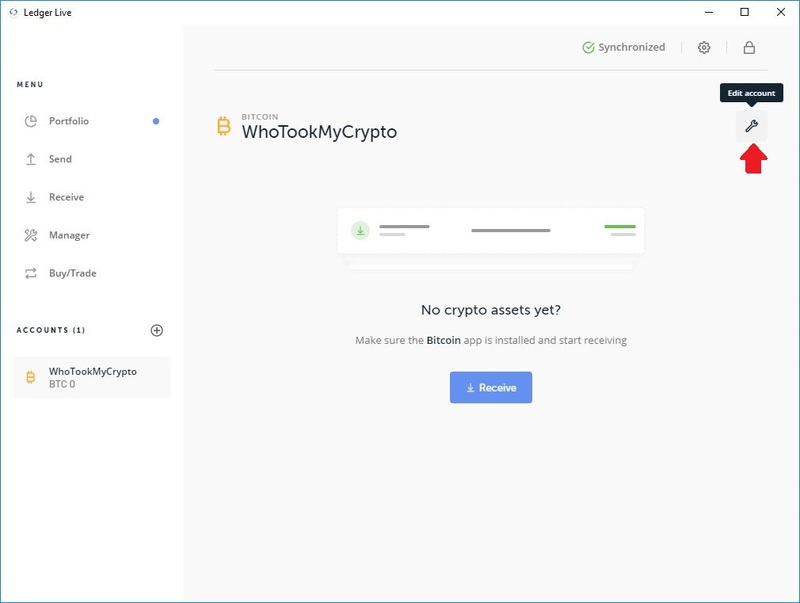 If you have yet to transfer funds to the addresses you track, you can send some funds to them and check that your watch-only wallet updates for them. Step 12: Give yourself a pat on the back! 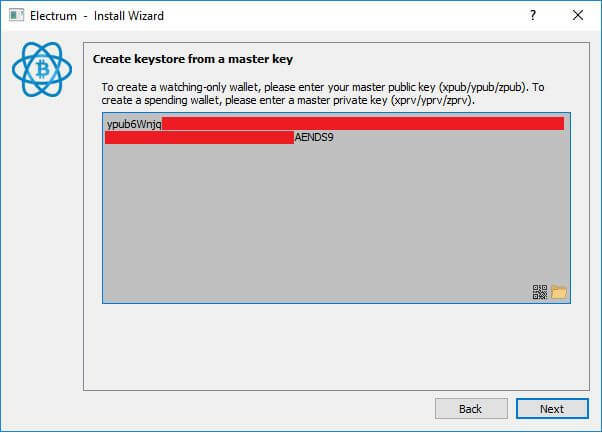 Your Bitcoin watch-only wallet for Windows has been successfully created. 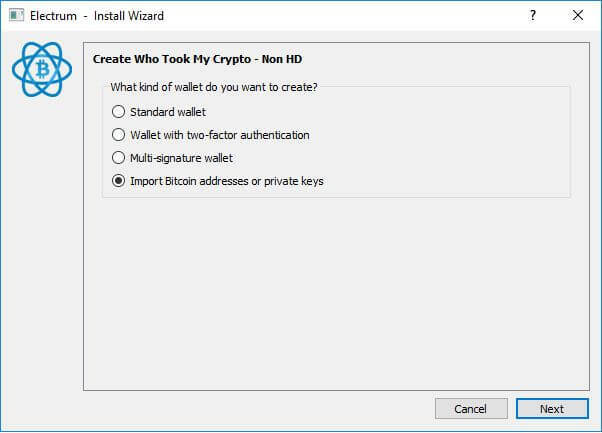 Did you like our method for creating Bitcoin watch-only wallets for Windows? Have another app or method to recommend us?